So, you got it wrong, eh? When that super hairy guy at the trailhead near your local woods asked if you wanted to grab a bite you totally thought he wanted to go to the diner a mile or two down the road. How were you to guess that he would change into a dog and sink his teeth into your arm right before your eyes? While you thought you might be up for trading hiking stories over a shake, he had more life shaking plans in store. You might not have been ready immediately but it's not all that bad. Now you have a great excuse to avoid social events when the moon is full. Then there are all those gorgeous summer nights you've spent running through the woods, all that activity might be the reason you've been looking so fit. Last full moon you left your Fitbit on your wrist during your transformation and between stalking prey and running up hills to howl at the moon, you ran more than twenty miles. Talk about a fitness program! 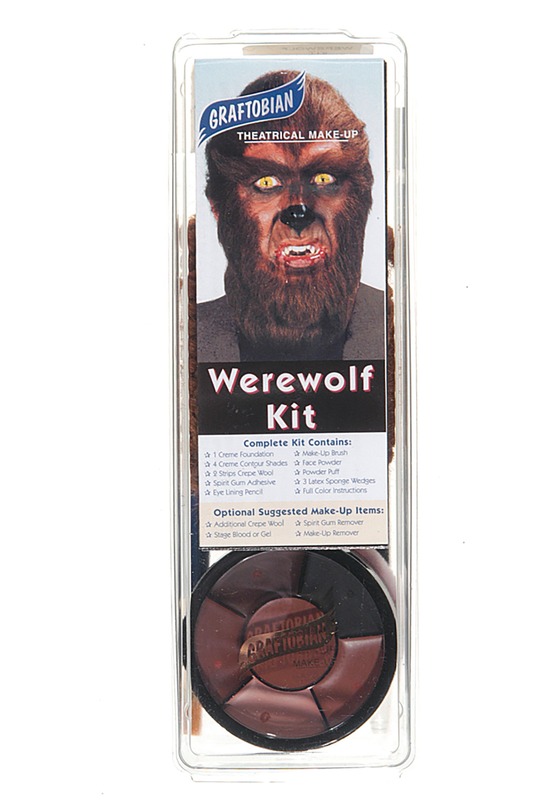 If you want to transform without becoming a danger to society, you'll love this werewolf kit. The instructions make it simple to really amp up your canine appeal. 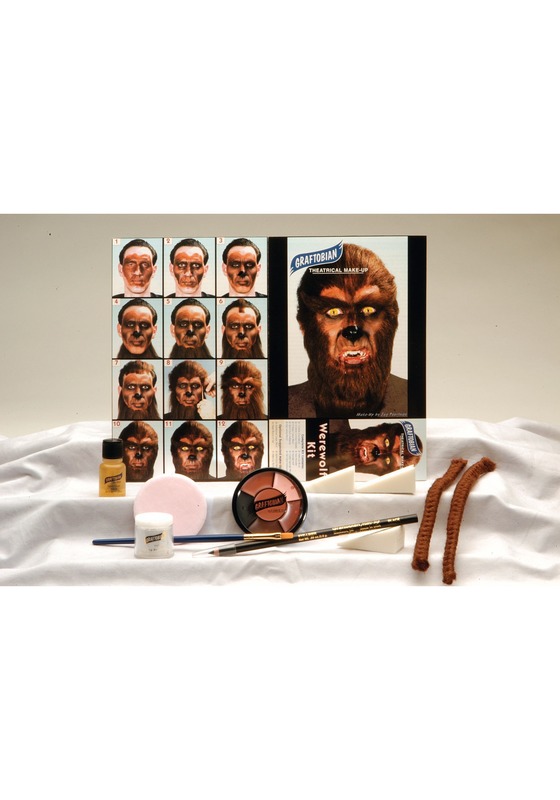 You'll get everything you need from the spirit gum that makes the long, brown hair stick to your face, to the brown makeup and makeup sponges to achieve a monstrous shaded look. While it might take a little time to finish off your look, it's a lot easier than getting bitten by that hairy jerk in the woods. Now that you know about this kit, get on it fast. Everyone wants to be the werewolf at the monster mash, they might be willing to fight you for that honor. So show up to the Halloween party already transformed, your friend Dracula will have to settle for those run of the mill fangs!